Metropolitan Elite Family Practice offers comprehensive family medicine services to members of the community in Laurel, Maryland. Under the directorship of Linda McGee, MD, the practice provides quality, compassionate, and individualized care to men and women. Patients receive general health support, and a variety of specific services such as comprehensive physicals, well-woman exams, and weight-loss assistance. Treatment and management of chronic diseases, including diabetes and high blood pressure, as well as prevention and wellness support are a priority. Dr. McGee seeks to support each patient’s needs and boost their mental, spiritual, and physical health. To feel their best, men and women should also look their best. 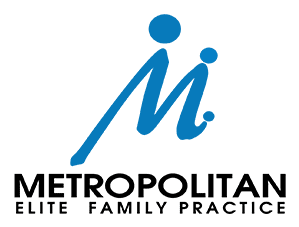 At Metropolitan Elite Family Practice, the latest in aesthetic treatments are available, such as body contouring with SculpSure®, wrinkle reduction with Botox®, and skin tightening and resurfacing with the Icon™ Aesthetic System. To learn how to benefit from the exceptional medical experience offered at Metropolitan Elite Family Practice, call the office or book an appointment using the online tool. "Dr. McGee exemplifies everything you would want in a treating physician: patient, knowledgeable, thoughtful, excellent listener/easy to discuss concerns..."
"Dr. McGee creates a warm and welcoming environment which I have never found with any another primary care physician." "Never have I had a more thorough and capable doctor. She diagnosed an issue with my tonsil's that most skilled doctors would have missed. Love Dr. McGee!" "I couldn't have chosen a better doctor. Dr. McGee is very professional, easy going, makes you feel comfortable, caring and treated me with the upmost respect." "Dr. McGee is thoughtful, kind, down to earth and she listens. She is non judgmental and cares for the whole person." "Dr. McGee is a top-rate physician. She gives you very thorough exams and is always extremely patient and professional!" "Dr. McGee is the woman! Kind, intelligent, professional, and blessed with an extraordinary bed side manner."